Unveiled: Tamar by Francine Rivers was published by Tyndale House Publishers in December 2000 and is our 21658th best seller. The ISBN for Unveiled: Tamar is 9780842319478. 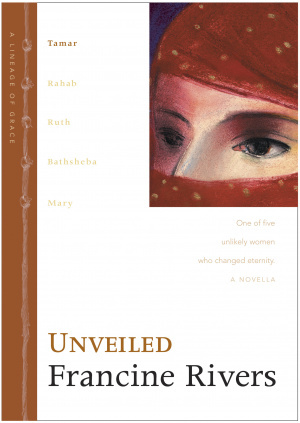 This book reveals the first woman in the old testament sighted in the lineage of Jesus. It compels you to read about the other four. It makes you adjust where you have to be as a christian woman.You can be all woman and still be effective for God. You don't have to be the silent mouse wearing a flowered skirt. It is an excellent read and can also be used as a study which confronts issues never touched on in a church setting. If you don't know who Tamar is this is the book to read to find out. Got a question? No problem! Just click here to ask us about Unveiled: Tamar.